Includes complimentary bottle of champagne. Full-board option @ $12,000 for 7 nights. 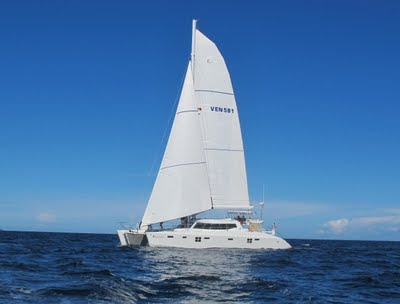 Half-board option @ $10,000 for 7 nights, includes all breakfasts, 4 lunches and 3 dinners aboard the boat. Other meals taken ashore at client expense. **Not to be combined with any other special offer. Charter must take place in the month of June 2013.